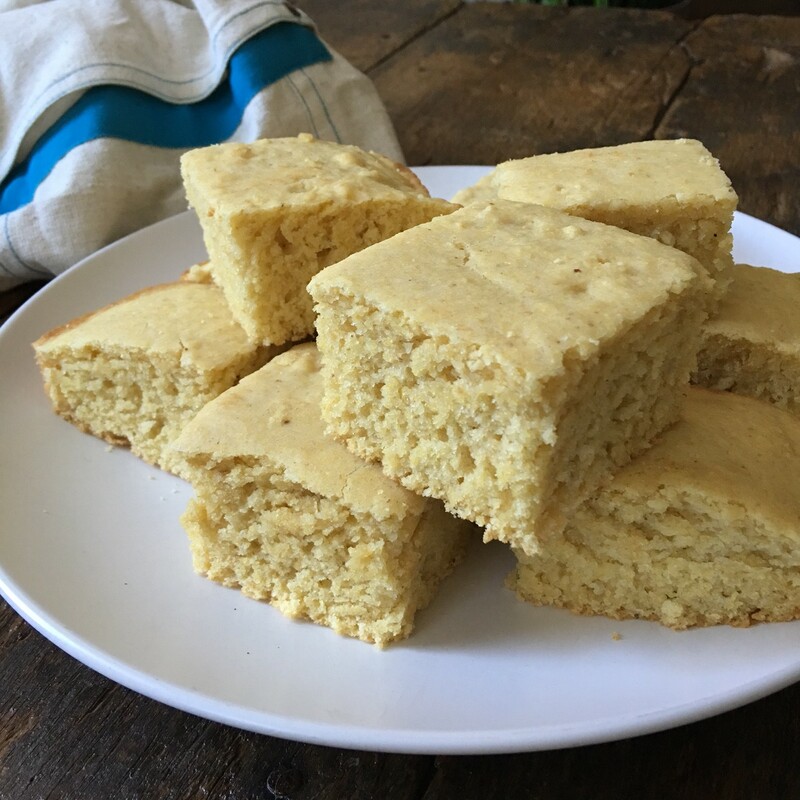 Takes just minutes to put this fluffy, golden cornbread together. Make the flax egg in a separate small bowl (combine ground flax seed and water; allow to sit for a minute until it gels -- it should be goopy like an egg). Combine almond milk, oil (or applesauce), and flax egg. Gently fold this wet mixture into the dry mixture only until all ingredients are wet -- do not use a mixer or over-stir. Batter will be thick. Pour mixture into a prepared 8” x 8” baking pan. Let cool for 5 to 10 minutes before slicing and removing from pan. In Breads, Muffins, and Scones. Bookmark the permalink.